We're being herded away from green pastures, back into the pen, and at the back of the queue with our begging bowl. [You must be registered and logged in to see this link.] wrote: Five leading business groups have joined forces to urge politicians to prevent a no-deal Brexit as firms "reach the point of no return" ahead of the UK's departure from the EU on 29 March. is that the same CBI that gets quite a large bung from the EU every year? [You must be registered and logged in to see this link.] wrote: We're being herded away from green pastures, back into the pen, and at the back of the queue with our begging bowl. That does not make any sense, but then the other poster has an unhealthy relationship with his toaster whilst quoting the advice of holocaust denying fascists and their agents of fake news! We are being herded away from fresh and luscious green pastures and the promise of a clean break, more than adaquate WTO rules and the best of British entrepreneurial zeal and innovation, In order to be herded back into the pen of the Franco German controlled EU. 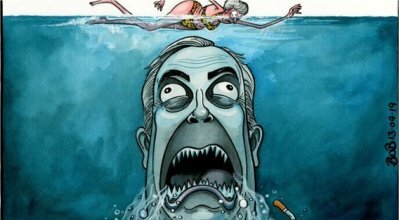 The ERG have been discovered worthless and labelled extremists by the chancellor, they were easily and shamefully defeated, they offered up neither a logical or positive plan on our departure from the EU nor did they offer any resistance to the treachery now unfolding before our eyes. We are led by political pygmies! It will also allow us, should whoever is in charge, to make the country a low corporation tax country encouraging even more business to set up here and taking that business away from the ireland and luxembourg and a couple of other EU tax havens. Also leaving on WTO terms will ensure the EU will come back with serious offers to get their own trade deal with us, as a german spokesman said only today. Are you seriously suggesting that the Maybot will sanction leave on WTO terms? She's a remoaner who will always seek the counsel of her EU handlers before any such matters are discussed with her irrelevant and extremist British cabinet ministers, this is her way, hence Amber Rudd, perhaps you're unaware of her track record, a record steeped in failure, surrender and betrayal. Surely by now you're au fait with her modus operandi! She'll run down the clock to avoid a vote of no confidence in the government, her bill will fail and then she'll revoke or postpone article 50, cry Corbyn did it and then hold a remoaners People's vote, she always does the exact opposite of what she says she's going to do, have you learnt nothing? And you sold me the appearance that you were less delusional than the toaster fellow! I feel swindled! Buck up your ideas! May cannot unilaterally revoke article 50 off her own back she isn't a president with executive powers, it would have to be off the back of a vote, a vote that cannot be held in the time that remains. A vote that cannot and will not be held, period. All running the clock down will do is ensure a no deal. Should have been paying attention ole boy, 2300 hrs on the 29th March 2019 is when we leave the EU deal. Or no deal, that's the law of the land. May's gamble is to try and scare her mps into supporting her deal, and to pressure the EU into more concessions. It will fail and we will leave with no deal but WTO. I hope that is exactly what will happen ! she has no choice, the eu withdrawal bill is law and we are set to leave on march 29th with a deal or on wto terms. she cannot revoke article 50 she could ask the HOC to revoke it I suppose, revoking it means Brexit is over, and there may well be some MP's who are fed up of being on the gravy train and no longer want to be MP's. How many countries are currently trading on WTO terms? Perhaps it passed you by! "When a member state has notified the European Council of its intention to withdraw from the European Union, as the UK has done, that member state is free to revoke unilaterally that notification"
The ruling is one of the fastest ever made by the court, which normally takes a matter of months to come to a conclusion, even when a case is fast-tracked. This ruling was made conveniently on the day before the scheduled vote on Mays deal, May then had discussions with her EU handlers behind her cabinet ministers backs, where she was told it was now safe to pull the vote. At the very same time she allowed her cabinet ministers to continue promoting the delivery of that vote, despite already pulling that vote due to the significance of the ECJ ruling. The government, for the first time in its history has been found in contempt of parliament, brexiteers have been defeated, the remainder controlled cabinet are falling into line on a people's vote or to revoke, David Gauke is the latest advocate threatening resignation if the PM pursues a no deal, a second vote in my opinion will cause civil unrest, so the only majority in Parliament will be to revoke article 50. We will be a hostage to the spectacle of watching the can being kicked down the road for the foreseeable future, or at least until we accept defeat. So, you'd surrender without a fight then ? [You must be registered and logged in to see this link.] wrote: Perhaps it passed you by! you seem a little confused as you dont seem to be able to pick a side and keep to it. It also means that you cannot place punitive tariffs on a country, the only time you can is if you are in specific trade deal with them, which would suggest the EU could not impose excessive tariffs on UK goods just to make us suffer. How many countries exclusively trade under WTO rules? its a baseline, a start point. It levels the playing field and allows partners to reach equal terms,before they move on to more sophisticated and tailored agreements that suit each individual trade agreement. This is not about picking sides, and your trust and faith in this government and its Brexit process seems somewhat naive and rather misplaced. The Maybot is stubborn enough to push her deal, not because she thinks she'll succeed but because it continues to run the clock down, despite her protestations her actions dictate to robust interlocutors that she will not allow a no deal scenario, the majority of her cabinet will not allow a no deal situation and at least two thirds of the Conservative party due to their vested interests will not tolerate a no deal exit. The can will be kicked further down the road!